To solve this error follow few steps as described. 2). Type inetmgr in run command and hit enter. 3). 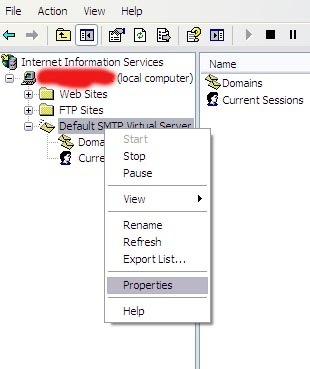 Right click on “Default SMTP Virtual Server” and choose property as shown in image. 4). 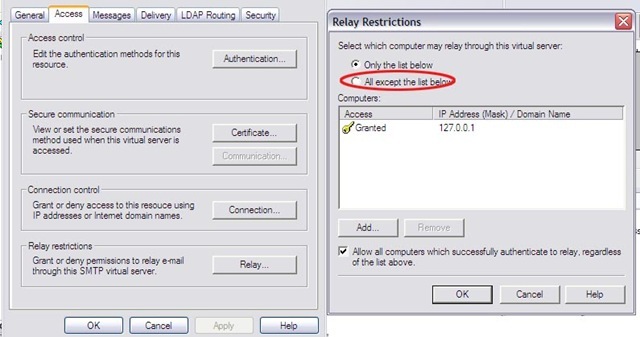 Go to access tab and click on relay button as shown in image. 5). Click on All except the list below. and again run your web application, this will solve your problem.